Constructed of environmentally friendly, zero emissions solid Oak hardwood, engineered to prevent warping and last a lifetime. 12-stage wood preparation, sanding, painting and hand-finishing process. Highly water-resistant low V.O.C. sealed finish. Beautiful transitional styling that compliments any bathroom. White Carrera Marble Counter. Plenty of storage space. Faucet not included. Includes 3" backsplash. 24" Mirrors is included. White Porcelain Undermount Oval. Plenty of counter space. Four (4) functional drawers. Includes drain assemblies and P-traps for easy assembly. pre-drilled 8" Widespread 3-Hole faucet mounts. Metal exterior hardware with brushed chrome finish. 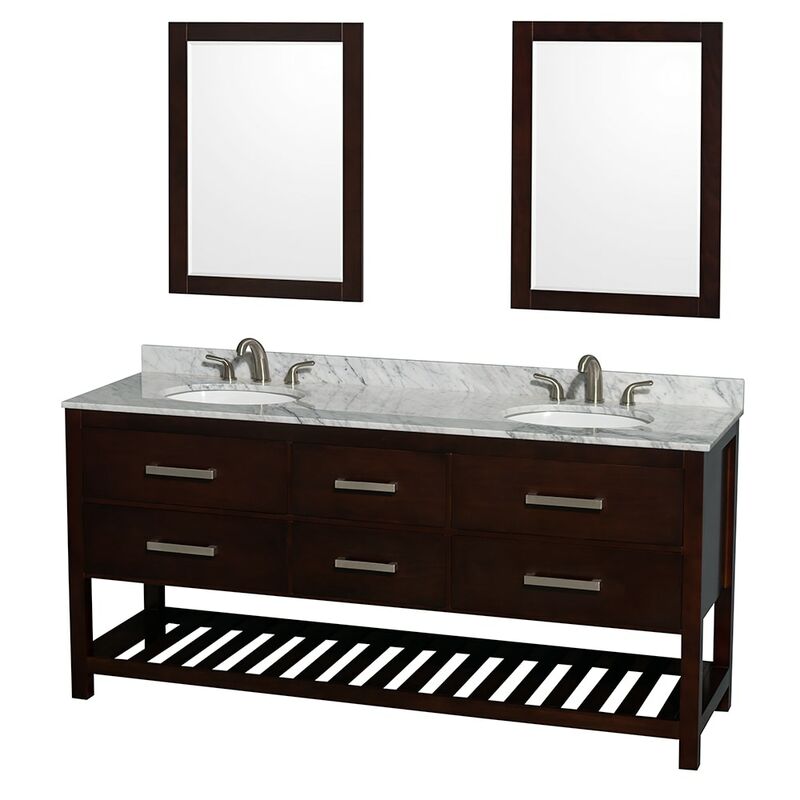 Dimensions - Vanity: 72" x 22" x 34.5"; Mirror: 24" x 0.75" x 33"